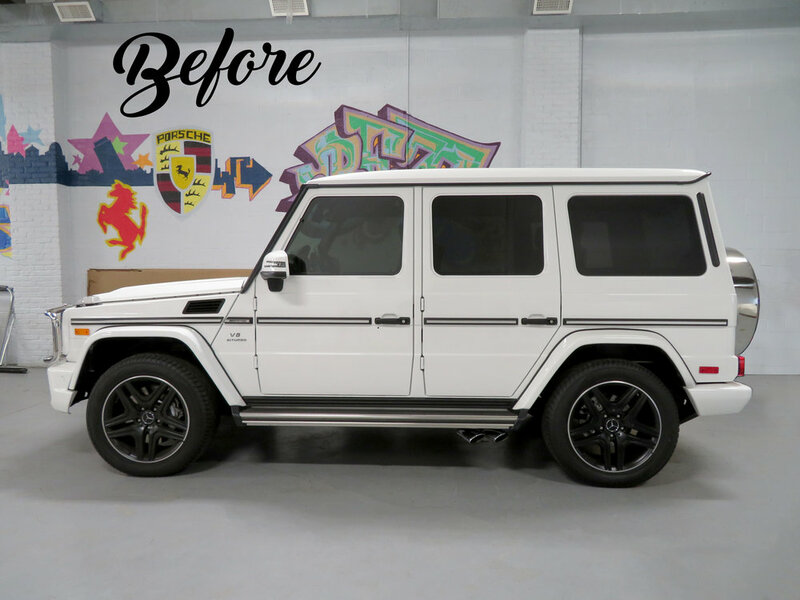 This G63 AMG started its transformation with a complete wrap using XPEL’s Stealth paint protection film, topped with two coats of our DD Shield professional nano-ceramic coating. 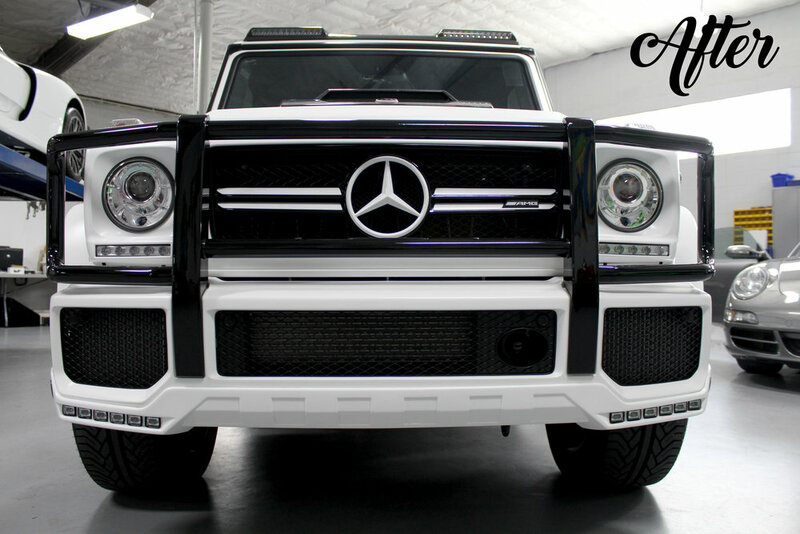 The metamorphosis continued with some help from BRABUS. 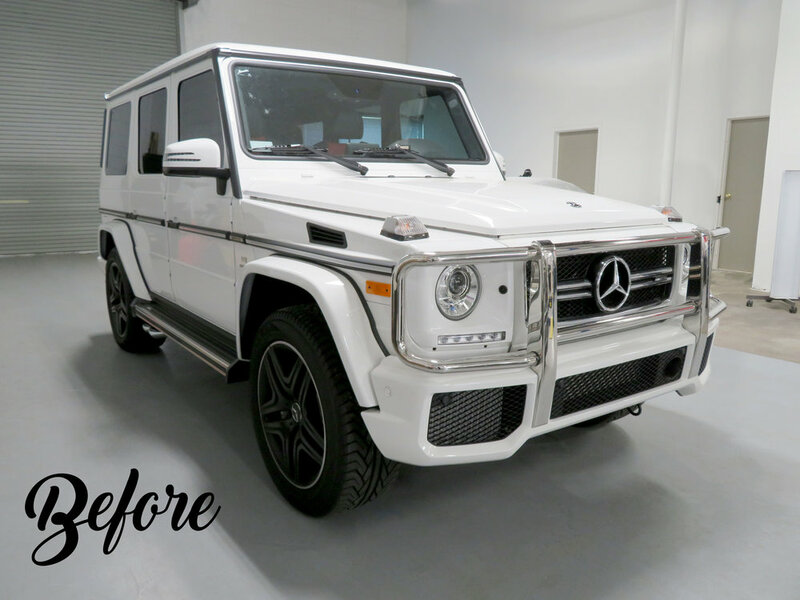 We installed an OEM gloss white front spoiler with turn signals, the G463 roof spoiler, and rear bumper, all with LED lights. 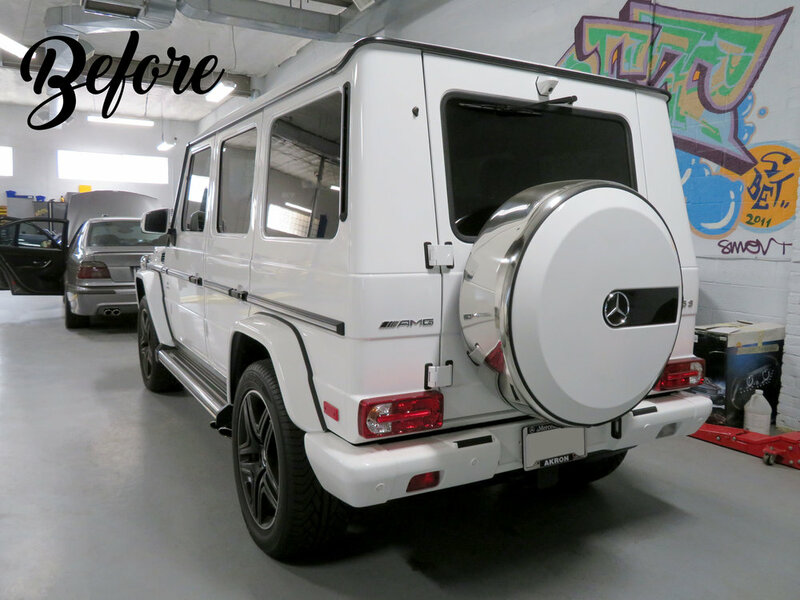 We used the Widestar rear bumper add on, as well as the G463 carbon fiber hood scoop and carbon fiber front roof spoiler to completely upgrade the look of this G-Wagen. 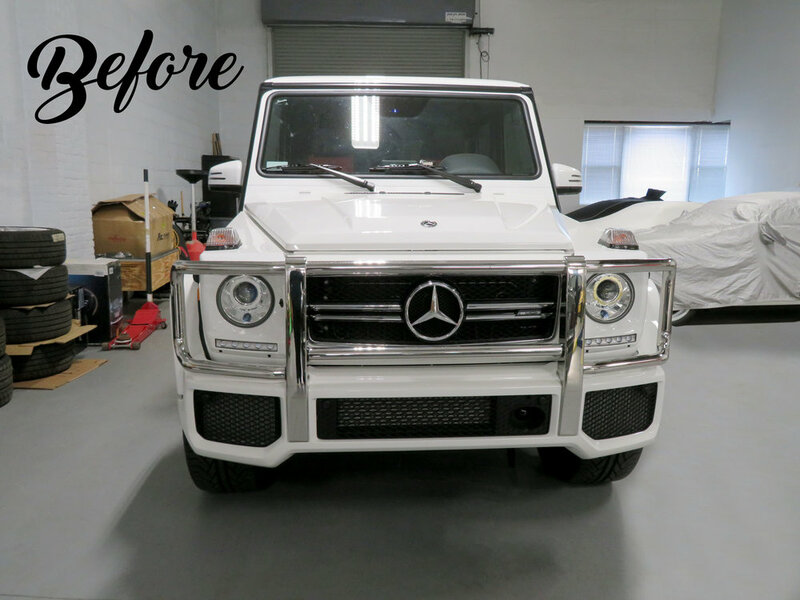 To accent the upgrades further, we painted the Mercedes star emblems and front grill pieces with gloss white, and the remaining emblems, and front grill outer ring with gloss black. The side mirrors were the cherry on top as we refinished them in gloss carbon fiber. 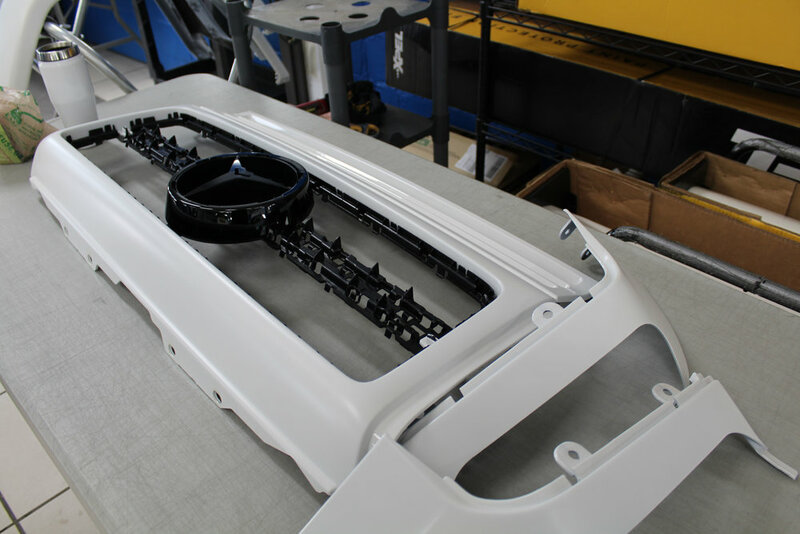 The front grill bar and spare tire cover were both powder coated in gloss black to further personalize the design. We added another special touch by swapping out the OEM steering wheel with a completely custom carbon fiber steering wheel. A BlackVue DR900S 2 channel dash cam was installed to capture critical details, not only while driving, but in parking mode as well. The brake calipers were refinished in Candy Apple Red with a Pearl White “AMG” logo. We finished the transformation by installing an Akropovic exhaust system with a valve control remote. 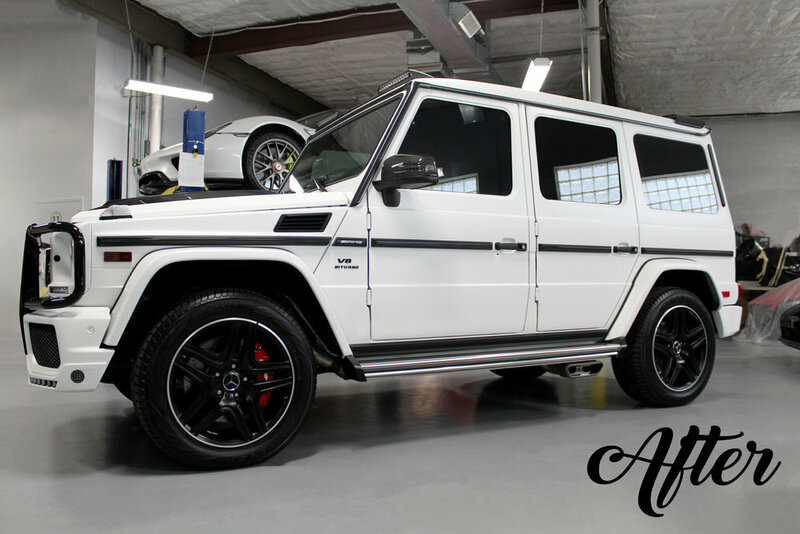 This Mercedes Benz G63, fully converted to the Brabus G700 wide body kit, is now fully stocked with a custom Audiophile system. We installed Focal woofers with coaxial tweeters in the front and rear doors. These include cones that are fully equipped with all the ideal qualities: lightness, rigidity and excellent damping, to deliver dynamic sound and perfect definition. The centers of the cones are equipped with a phase plug for improved sound dispersion around the vehicle. These traits also make them great for providing an extremely rich and punchy sound. We also added a Focal center channel to the middle of the dashboard, along with two precision Beryllium inverted dome shape tweeters, which provide unrivalled treble and clarity of sound. The JL Audio FiX-82 OEM Integration unit is specifically designed to use the OEM audio signal from the vehicle and convert it to a clean low voltage signal without any distortions. The unit also aids in maintaining all factory options, including Bluetooth, navigation, and the like. We also installed the JL Audio TwK-D8 System Tuning DSP, which is a digital sound processer that allowed us to precisely tune each individual speaker, while also adding time delays and a ten-point equalizer to each channel. A completely custom piece was built to house the units to look sleek, streamlined, and concealed taking up the least possible amount of space. 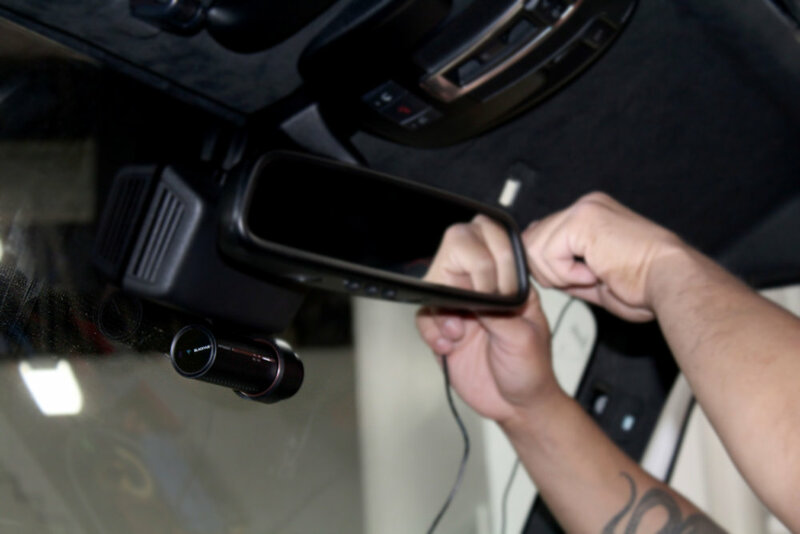 A ProClip custom iPhone mount and holder was also installed to allow the driver easy access. 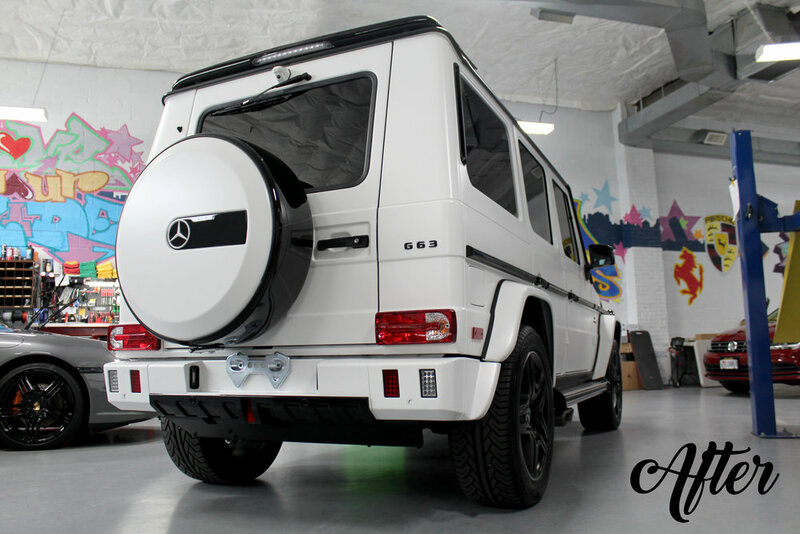 This beautiful G-Wagon left our shop with a top of the line, completely custom, banger of an Audiophile system.